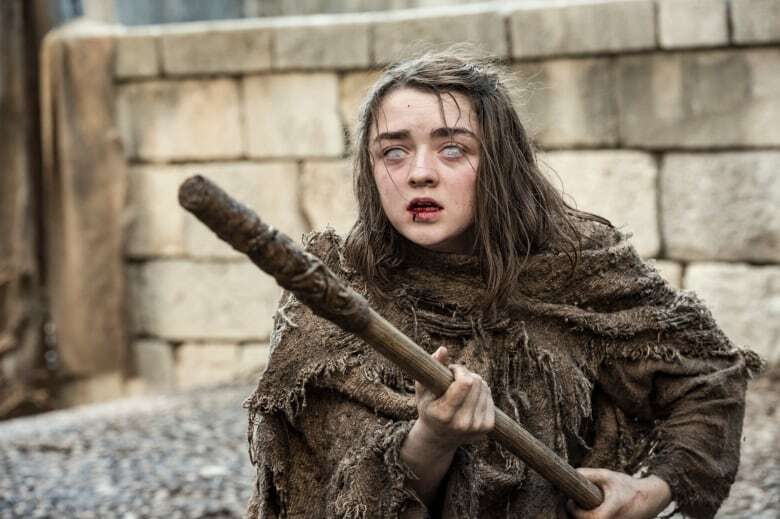 HBO is telling Canadian pirates that it's never been easier to legally watch its shows. But many Games of Thrones fans argue that's not the case in Canada where a TV subscription is required to watch the series. In an attempt to stamp out piracy, HBO is sending a personal message to Canadians that it's easy to legally watch its shows. But many Canadians aren't buying it. 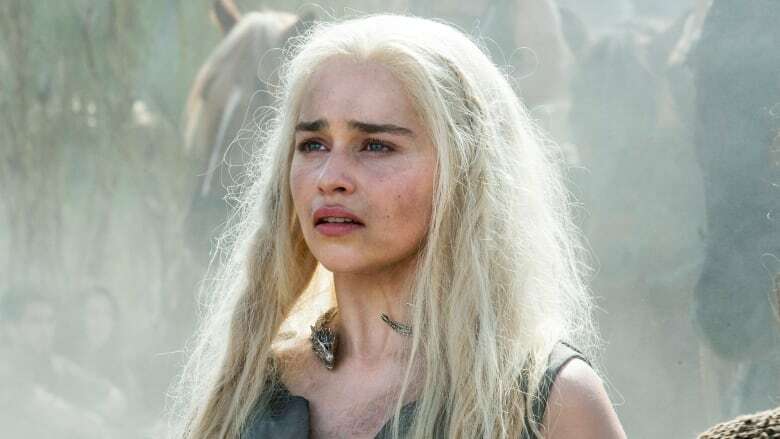 The American network started bombarding pirates with copyright infringement notices soon after the recent season launch of its hugely popular series, Game of Thrones. The warning emails, written on behalf of HBO, contain the usual message about why it's wrong to illegally download its content. But, in this country, the letters also include a paragraph penned just for Canadians. It informs them that "it has never been easier to watch HBO programming legally in Canada, and stream HBO on your favourite devices." The line has numerous Canadian pirates fuming. They argue that it's actually difficult to legally access many current HBO shows — Game of Thrones in particular — because they're only available with a pricey cable subscription. "I received a message from HBO," someone recently wrote on the news site, Reddit. "Here's a part of the message that made me laugh so hard, I wanted to share it with you," said the person, adding a link to HBO's new memo to Canadian pirates. The post generated hundreds of angry comments. "There are literally no even semi-reasonable options for watching [Game of Thrones] legally in Canada," one person commented. "The moment you bring HBO Now to Canada, I will pay for your content," someone else posted. Americans can sign up for the streaming service, HBO Now, for $14.99 US a month. But in Canada, viewers must subscribe to cable to legally access current HBO shows. And it doesn't come cheap. To get HBO Canada, subscribers typically have to pay around $20 for a Movie Network package on top of the cost of a regular TV plan. Bell Media owns the rights to HBO content in Canada. The media company's $7.99 a month streaming service, CraveTV, offers some past HBO shows, but nothing current. And it doesn't include any Game of Thrones episodes, past or present. "Canadians are willing to pay for content that they want to watch," says Meghan Sali of consumer advocacy group OpenMedia. Many in this country draw the line at having to pay for an expensive cable package just to watch one or two favourite HBO shows, she adds. "That's why we're seeing a backlash," she says, referring to the reaction to HBO's letters to Canadians. Last month, when Josh Randell received his first copyright infringement notice for pirating Game of Thrones, he thought perhaps it was good news. When he read that it "has never been easier to watch HBO programming legally," Randell figured that maybe Bell is now making its exclusive streaming service TMN GO available to everyone. Currently, only HBO TV subscribers can access the service which offers a smorgasbord of current HBO shows including Game of Thrones. When Randell scoped out HBO GO's website, he discovered that he still couldn't sign up without a cable subscription. "I was kind of upset," says Randell who lives in Corner Brook, N.L. The letter says "it's never been easier and I thought, well let's go see if I can give you my money and I can't." He claims Game of Thrones is the only show he pirates and that he would happily pay a reasonable price to stream the series. "They deserve their money, it's a good show." But Randell adds that subscribing to cable is not an option for him. "I don't want to pay for a bunch of channels and a bunch of stuff I'm never going to watch." CBC News asked HBO the reasoning behind its Canadian message. "The statement you reference seems self explanatory, it speaks to the unprecedented availability of HBO programming," said spokesman Jeff Cusson in an email. Regarding how the company's content is packaged in Canada, Cusson referred us to Bell Media. Bell told CBC News that HBO sends out the copyright infringement letters but that it works closely with the American network. Bell added that it stands by the letter's message to Canadians. In an email to CBC News, the media company said its recent deal with HBO "has resulted in a significant increase in the availability of HBO content." Bell points out that HBO cable subscribers can now stream any of the network's series using TMN GO and that older shows are available to everyone on CraveTV. He adds that the two piracy-warning letters he recently received won't stop him from illegally downloading the series. "It doesn't really frighten me," he says. Instead, "it made me think they should give me a way to pay." Bell told CBC News that while it continues "to assess the market," it has no current plans to make Game of Thrones available without a cable subscription.